Most elementary and middle school age girls in the Cranberry Service Unit attend Haine Elementary/Middle School and Rowan Elementary. We do have several scouts who also are home-schooled, cyber-schooled, or attend private religious schools, as well as schools across the Seneca Valley and other neighboring school districts. Where you participate in Girl Scouting is up to your individual needs and desires. When you register online with our council website, they will direct your registration to the Service Unit that your daughter’s school is located within. IF you do not attend Haine Elementary/Middle or Rowan Elementary, you will need to override that default by contacting council directly. 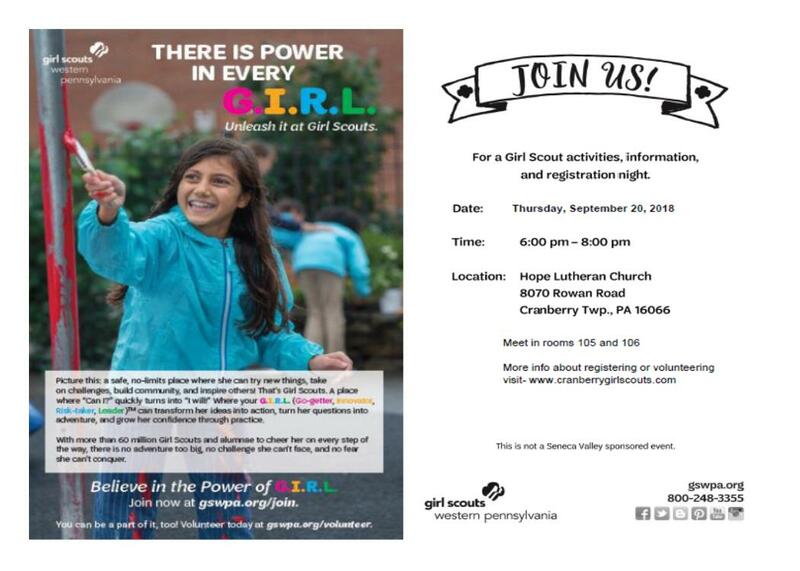 Please visit our GSWPA Council website at gswpa.org to sign up for Girl Scouts in our community!